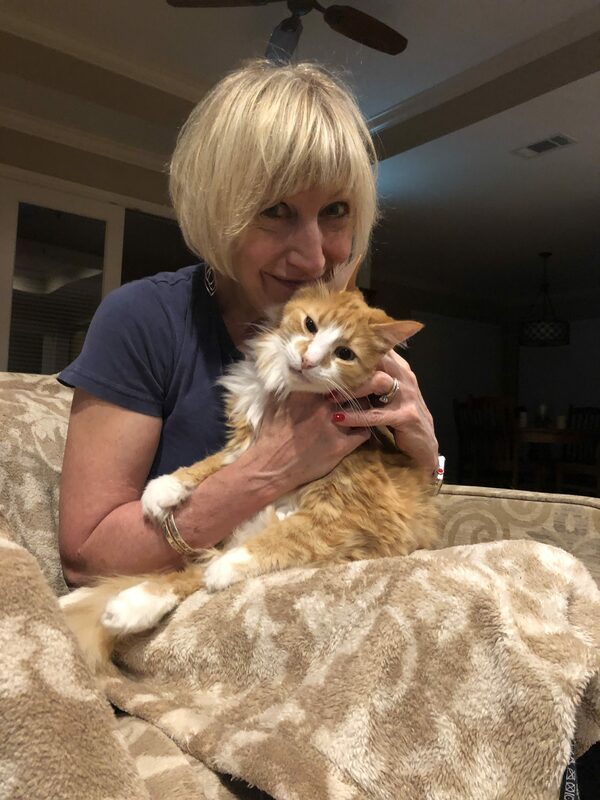 Volunteer Spotlight: Suzanne Martin - Houston Pets Alive! Suzanne Martin of Houston, TX started volunteering with HPA! in April 2014, way back in our organization’s infancy! From the start, Suzanne has spearheaded cat care at our pet store partners, where she contributes so much more than just cat care! My friend, Lin Phillips, started the Dunvale cattery after HPA! took it over from another rescue organization in 2014. She was operating it all on her own and needed some help. I was her first regular weekly volunteer! I chose HPA! because of my friend, Lin, and because HPA! was just getting started. I love that HPA! saves animals that other pet rescues leave behind, and I wanted to be a part of an organization that makes a difference in helping to save forgotten animals. Another reason I stay involved is because we currently have three cats and two dogs (all rescues), and I can’t adopt any more right now, but it’s really rewarding to help other animals find loving homes. I volunteer weekly at the Petsmart Dunvale cattery and help with adoptions. I also create the cage cards for our adoptable cats and assist in posting their photos and bios online. HPA! is a wonderful way to give back to the community as we all work together to make Houston a no-kill city. It take a village, no one person can do it on their own, but everyone doing their part makes a huge difference. All of our rescues animals are amazing and deserve loving homes, especially the adults who often get overlooked because they aren’t cute little kittens anymore. What I’ve found is the adults often make the best pets because they are so grateful! HPA! is a win-win for everyone: the adopters, the volunteers, and the new pet owners. It’s also just a wonderful way to give back to our community and work with other volunteers who have a heart for saving animals.